Though their performance in the ​NCAA Tournament isn't a testament to this fact, John Beilein's Michigan Wolverines were one of the deepest squads in the country this season. Beilein will need to find a way to replace a good chunk of that depth, however, as three starters are all declaring for the NBA draft. 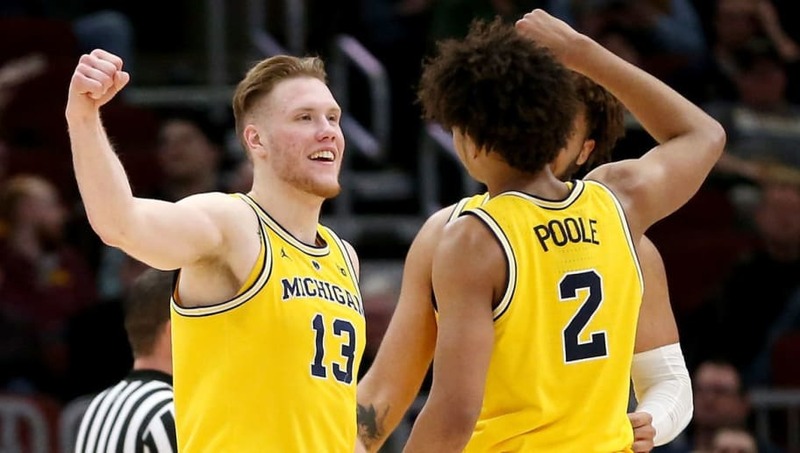 Guards Jordan Poole and Charles Matthews, as well as star freshman ​Ignas Brazdeikis, all announced that they will declare for the NBA draft. BREAKING 〽️ NEWS! @1CMatthews, Jordan Poole & @_iggy_braz declared for early entry into NBA Draft. ​​Of the trio, Brazdeikis is the one projected for the most success at the next level. Given his ability to post up inside and stroke it from deep, Brazdeikis could sneak into the first round of the draft. ​​Poole and Matthews likely won't be starters at the next level, but could fill a role as shooters, glue guys, or hustle players off of the bench. Beilein is a terrific talent developer, so by this time next year, don't be surprised if Michigan sends a few more players to the league. The next test will be replacing the production of those three, as they were massively influential on Michigan's success throughout the regular season.